As the weather warms up, we’re spending more and more time on our decks. While decks are great spaces to enjoy, there are a few things to keep an eye on to ensure they remain safe spaces. Start by downloading our safety checklist inspired by the North American Deck and Railing Association. Whether you’re building a brand new deck; repairing, replacing, or maintaining an older one; or simply enjoying the deck you have now, the safety checklist and information below will help you conduct a more complete evaluation of your deck. 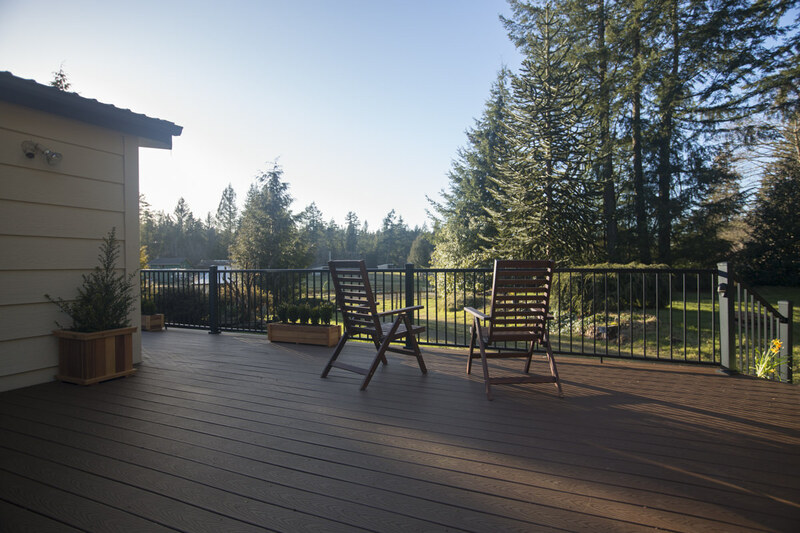 Even with proper maintenance, most wood decks will reach a point in their lifetime when rot and decay becomes an issue, particularly in a damp region—like the Pacific Northwest. 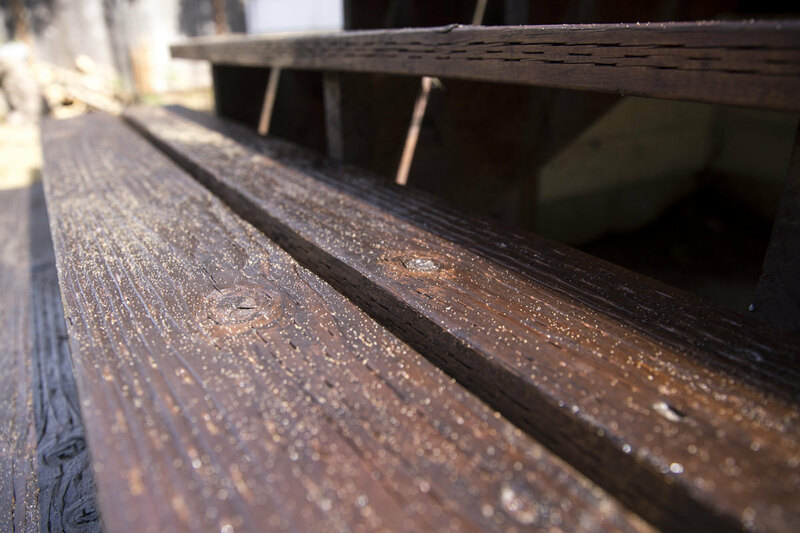 Pay special attention to any areas that are regularly exposed to water and are prone to rot and decay, as well as areas of the deck that are in contact with fasteners. 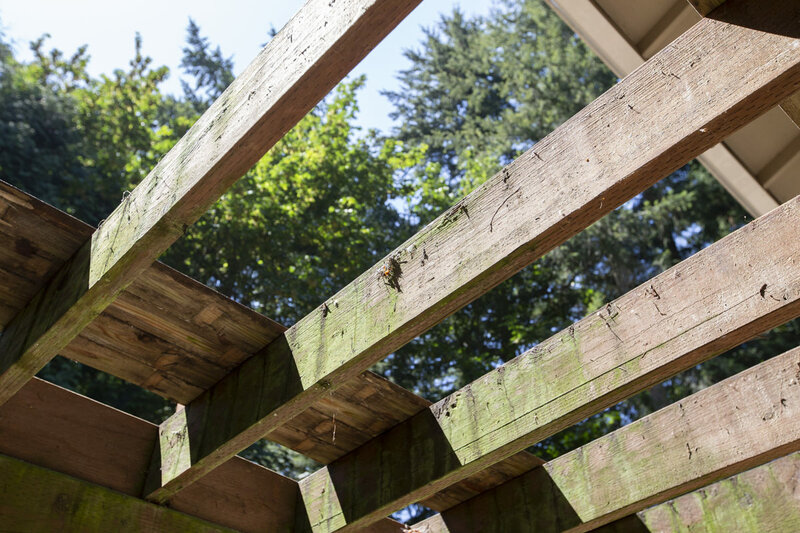 To check for split or decaying wood, look at a few different areas of the deck to ensure the wood is nice and sound: the ledger board (where the deck attaches to your home), support points and joists beneath the deck, and deck boards. You can use a screwdriver or another similar tool to poke the surface. If the wood is soft and can be easily penetrated or if it breaks off without splintering, that’s a sign your wood may be decaying. During this check, look for small holes in the wood as well—which could indicate insect damage. Flashing is a guard that directs water away from areas that are susceptible to rot and decay. You’ll often see flashing installed where the deck meets the house to prevent moisture and debris from building up in the gap in between. To ensure flashing does its job and keeps rot and decay away, check to make sure your flashing is intact and secure—and replace as necessary. If there are areas that are collecting water, consider adding flashing, or if the treated framework is still in good shape—cover the tops of all joists and beams with a flashing tape (like Vycor Deck Protector pictured below). Your deck is likely fastened together with nails, screws, or anchors. It’s important that these fasteners are in good shape and tightly secured so the deck boards remain firmly in place. A loose fastener can cause an injury, so check and tighten them often. Keep an eye out for fasteners that are rusted or corroded—which can lead to rot and decay in the surrounding wood. 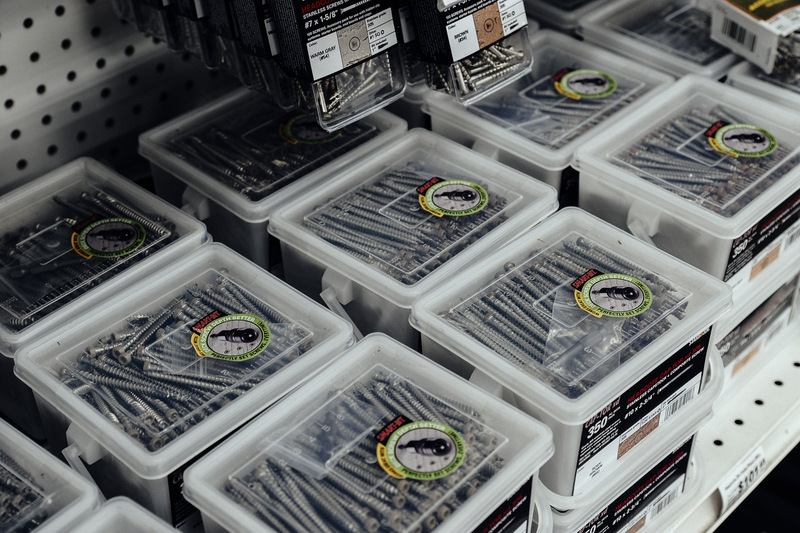 It’s best to replace fasteners as soon as you’re aware of a problem. Make sure your stairs are clear of any decor, planters, toys, or other debris—anything that could present a tripping hazard. A clear walkway is a crucial component of a safe staircase. If you have stairs leading up to your deck, check any stair railings or handrails to ensure they are secure and in place. Look at the risers and stringers and make a note of any decay—they should be firmly attached and without rot. If the area behind your stair treads is open, make sure it’s no more than 4” high for a comfortable climb. In the Pacific Northwest, it’s especially important that stairs are guarded against moisture. Consider adding a non-slip coating to prevent falls. Railings and balusters are important safety features. Check to make sure they’re secure and in place, and be sure to make any necessary adjustments as soon as you’re aware of an issue. 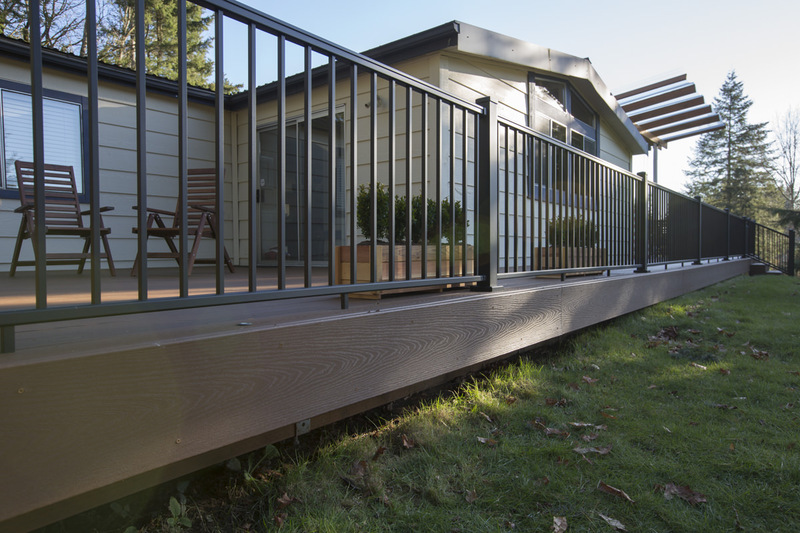 If you're looking to replace or upgrade your deck's railings and balusters, there are some great options available. Visit our TimberTech Impression Rail installation guide and our Deckorators® aluminum baluster installation guide for more information. 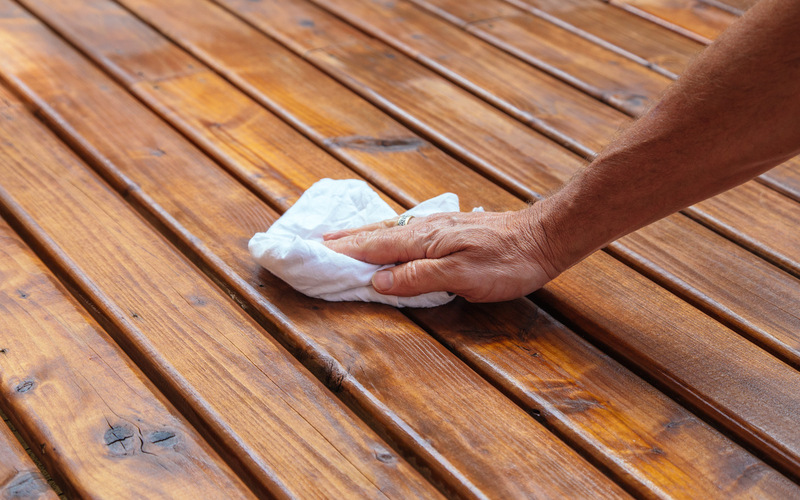 One of the very best things you can do to ensure your deck endures for years to come is to clean and maintain it regularly. Cleaning and maintaining means tidying up toys and tools that find themselves on the stairs during the summer months, doing a big annual sweep of leaves and debris that lead to mildew or moisture accumulation, checking to make sure everything is fastened and in its right place, and recoating the surface of your deck as necessary to protect against rot and decay. Thanks to the North American Deck and Railing Association for informing this post. Tom Nelson of the radio broadcast “The Outdoor Line” visits the Dunn Solutions podcast to answer fishing questions about catching trout, smoking salmon, and much more. Rapid Set Cement All is a great product made better and more versatile by two additives: Rapid Set SET Control (which lengthens the standard set time) and Rapid Set FLOW Control (which helps increase the cement mixture's fluidity). Discover some of the great reasons to choose eco-friendly cabinets for your home in this post from our friends at Canyon Creek Cabinet Company.